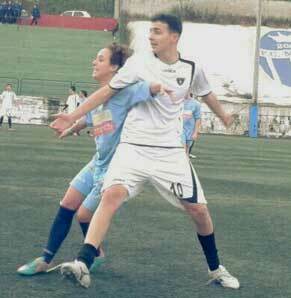 "GIRLS, YOU MUST GO TO DO THE DANCERS"
In the last article related to our team, the Giovanissimi of Napoli Carpisa Yamamay, Giorgia Migliaccio wrote her thoughts on the men's provincial championship in which we participated this year. From my point of view this experience, like all, has had both positive and negative aspects. The first thing to say is that, in addition to never giving up, we have learned to appreciate many things that seem nothing outside, but that for us, at that moment, are everything. You put it all and you are satisfied when you can overcome a dribble with a warning, especially if it is bigger than you, or even more when, after various efforts and attempts, the network, finally, also swells for your team. In order to face such competitions, we need a lot of courage and we have always had it, even though we were physically much younger girls than those we had in front of us. And it takes when you are faced with eleven guys who know they already have the victory in your pocket, when you hear some voices or insults from the stands but you have to continue to give their best, for you, for the coach and for your team. Read more: "GIRLS, YOU MUST GO TO DO THE DANCERS"
Giorgia Migliaccio: "A difficult but perfect championship to improve." What is complicated and tough is to do a championship against the males, but to play football and follow a dream you do everything. All games are very similar: the first half hour of the first half we always manage to limit the pressure of the opponents, but after one, two goals give themselves strength and start to prevail. After a while 'start a ball possession exhausting .. try to anticipate them but it is complicated; so consume all the strength to try to recover the ball. Often, however, you can do it, and winning a fight or having a rebound in favor will recharge you all. Try to open the game and put teammates in motion, but they are quick and almost certainly never manage to make you realize the action. Often it happens that in front of you, your team friends overcome an opponent, or even two in a row, they are near the penalty air and manage to throw the ball inside the door. Read more: Giorgia Migliaccio: "A difficult but perfect championship to improve." Calcio Piu 'starts from Norcia. 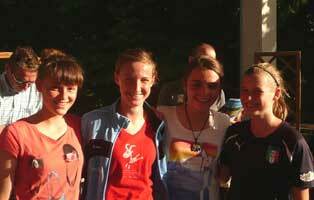 Sunday (14 July), at the locality of Umbria, will begin the stage dedicated to girls Under 15. Ended the efforts of the tournament for regional representatives - ended with the victory of Emilia Romagna - the small players are preparing to start others, but of different kinds. The chosen ones will be together, like last year, for a week: seven days in which the teaching of technical, regulatory, health and ethical elements will be focused. Not only them: parents and technicians have also been involved with specific training meetings (parents, Sunday on arrival, technicians from Thursday to Saturday 20 July). Coping with a men's championship is not a simple thing, but we did it all! Team spirit, determination and courage. What is it like to step on the grass of a soccer field just before starting a game? Well, there are many emotions that you feel in that moment, in that split second in which you concentrate all the negative and positive charges within you that can help you to give the best in the field. You look low, trying to concentrate as much as possible. Entering the field, he looks up and observes that there are more people than you expected in the stands, and that can not give you strength, courage. Also because on your left you realize that there are no young opponents with whom you can easily compete, but there are guys of stature enormously superior to yours. Read more: Coping with a men's championship is not a simple thing, but we've put it all on! The "CFS BAND" by Mister Maurizio Scapin no longer stops, that is the Under 14 who wins his third tournament out of four. After having won the Laives indoor New Year tournament (3-2 in the final against Brixen), having been a finalist in the Tavagnacco tournament (final lost with the young Inter), having won the Sanremo Tournament (2-1 in the final with the Mozzanica), the youth team offers a great kick, winning the "Memorial LORUSSO" Tournament, organized by the company of the Blue Star of Bolzano. At the national finals of Coverciano, the Giovanissimi drew against Inter and Bologna. After winning the championship and the cup, the first team left the Supercoppa al Ponte at Greve. 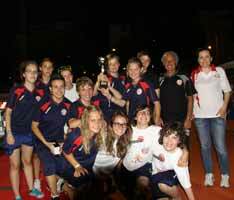 AREZZO - With a promotion and three trophies, the Blue Star stores the best season of its history. 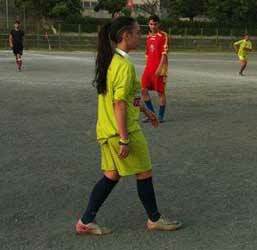 Last Sunday the national finals Giovanissime and the final of the Supercoppa Toscana represented the last official commitments of this triumphant vintage of the Aretine women's football. The day opened with the commitment of young girls in the youth sector who, after winning the regional category championship, had the honor of representing Tuscany at the national finals of Coverciano, a friendly tournament in which the Arezzo challenged peers from all over Italy. With the victory for 3: 2 in the derby that opposed them to the leaders USD Bressanone the "terrible girls of the SSV Brixen OBI" graduated champions in the category male debutants! 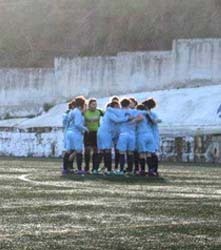 With 7 2 victor draws and only 2 defeats the girls from Brissino (the only female team among the 12 participants) conquer 23 points that is worth the 1 final place in cohabitation with Bressanone and Campo Tures. Brixen OBI also won both direct matches with SSV Taufers and USD Bressanone with the same result as 3: 2. The final four for the assignment of the title of Regional Youth Campionesse runners are staged in via Cagliari in Ciampino. 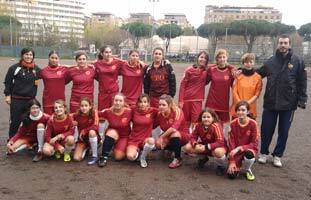 It starts with the semi-final between Roma Calcio Women's first classified of the regular season and the Real Tor Sapienza, fourth place. The first obstacle that separates Rome from the title is this two-times semifinal from 15 minutes: only 30 minutes (instead of the usual 60) to prove its value. The coaches Volpi and Brunetti ask the Giallorossi to take the field determined from the first moment and the girls do not have to pray: a bomber Giuliani enough 5 clock turns to unlock the result. At the 10 'and 13' Yleana Di Clavio comes on: two goals for her and downhill race.